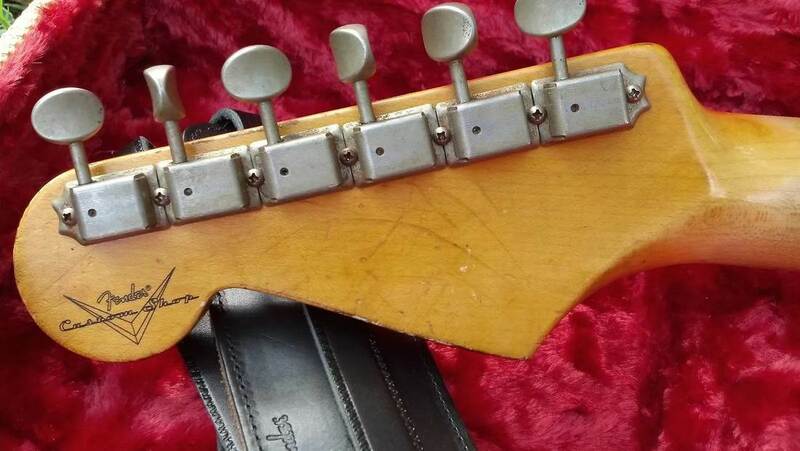 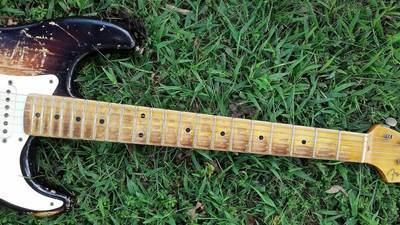 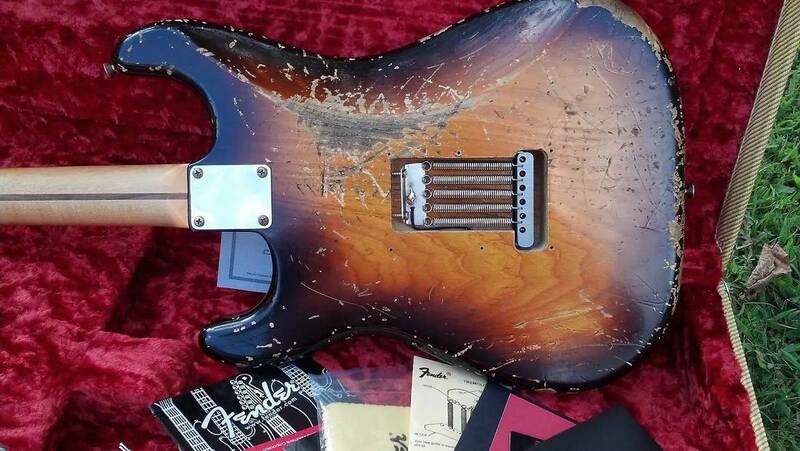 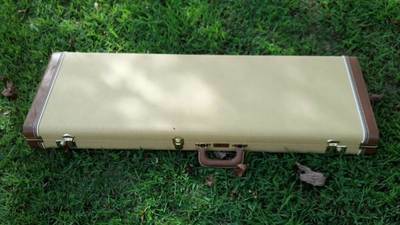 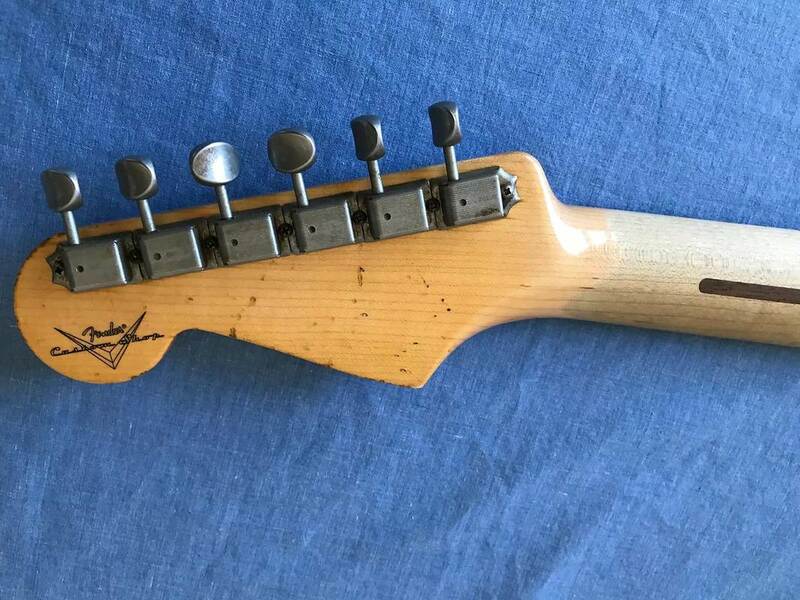 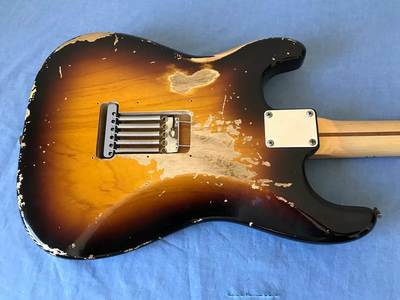 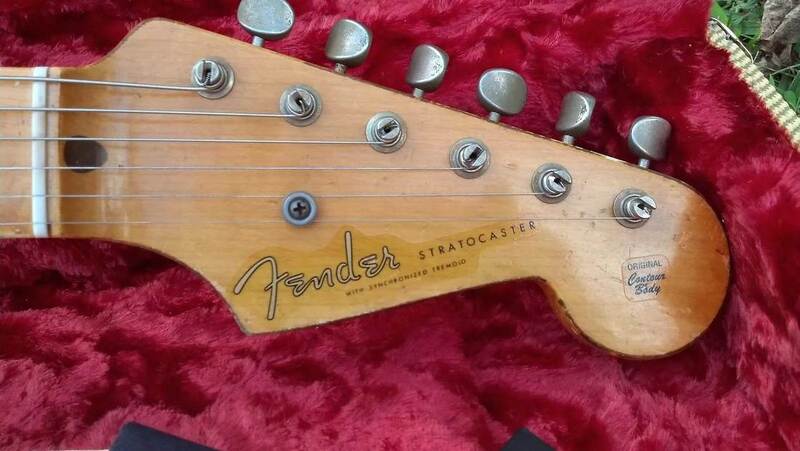 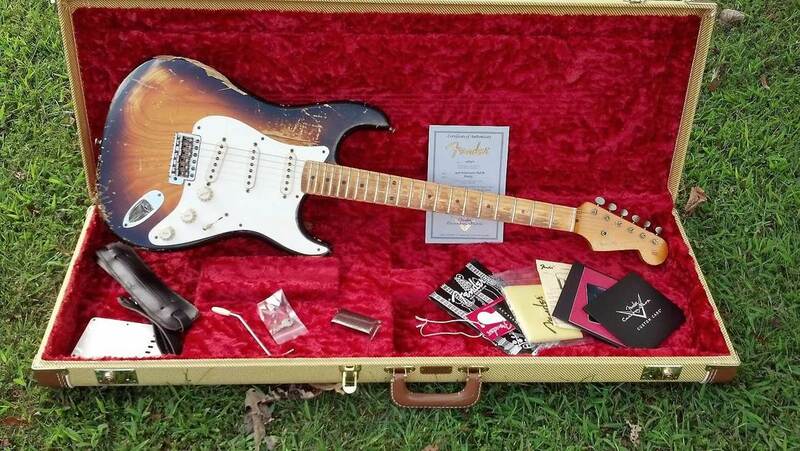 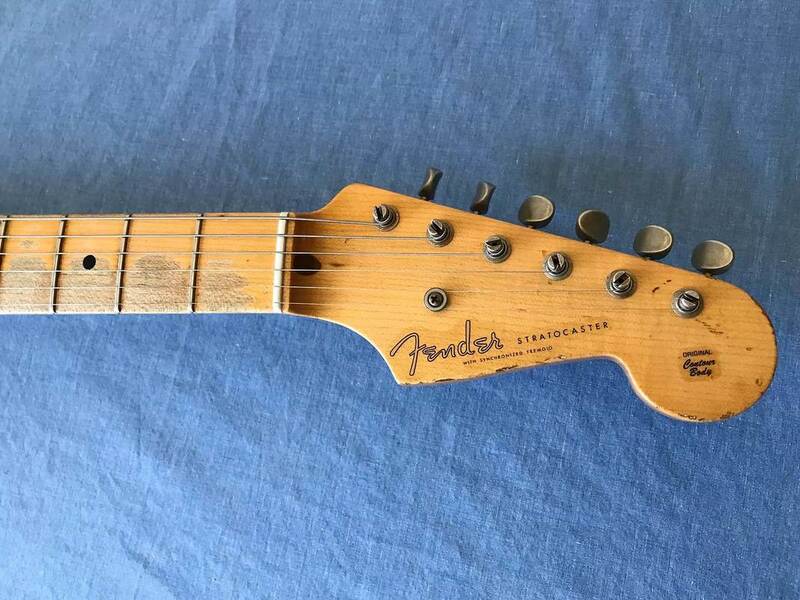 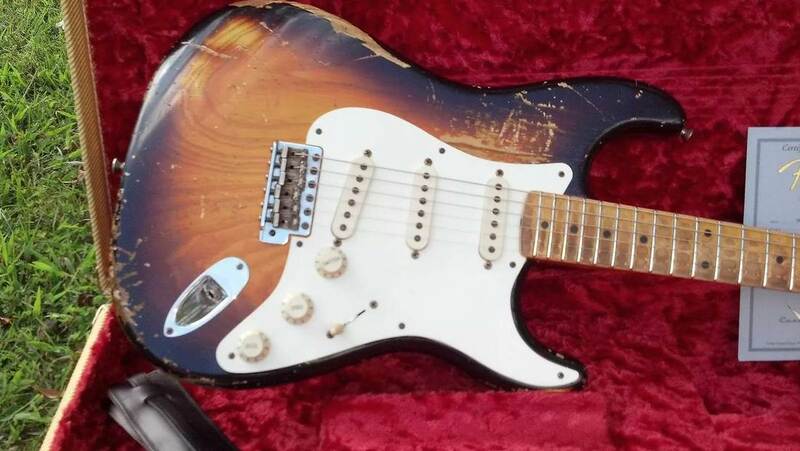 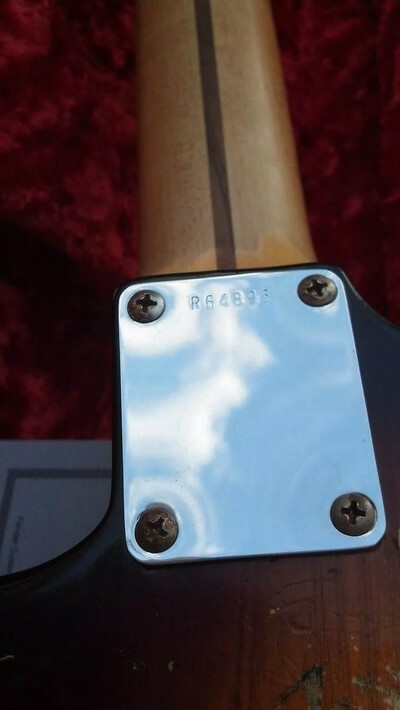 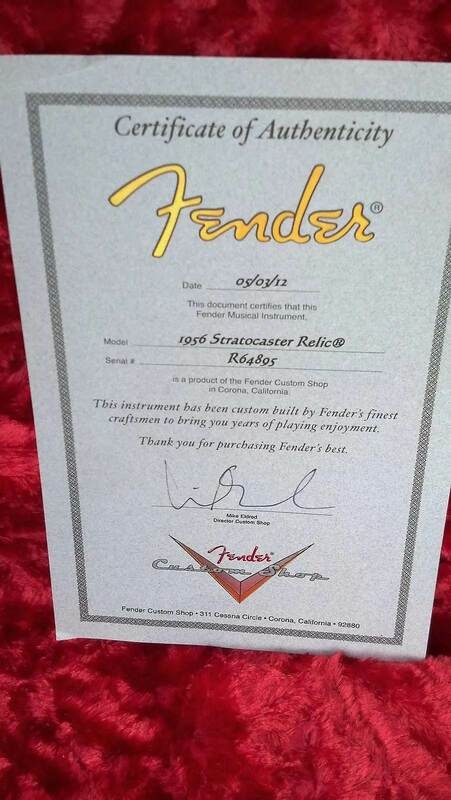 Few things equal the magic of a “beat up Fender Strat”, and this is one that truly takes the cake. 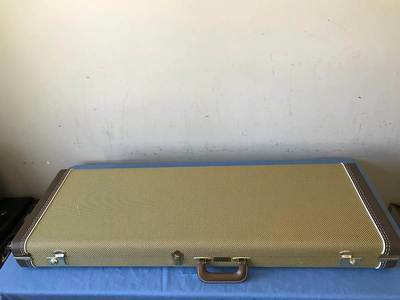 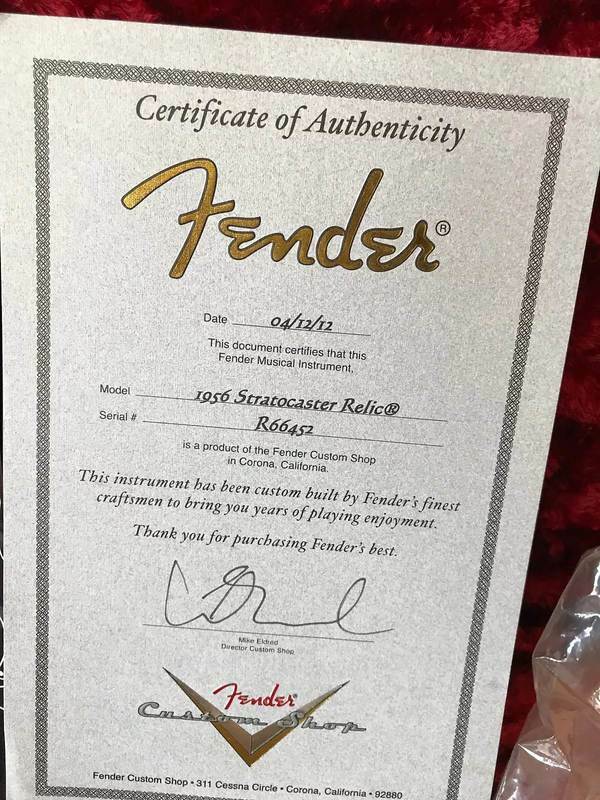 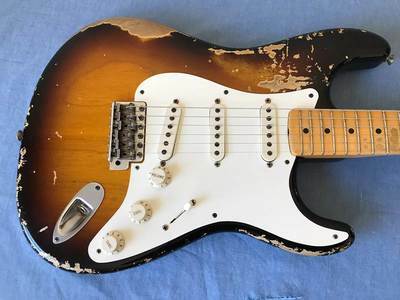 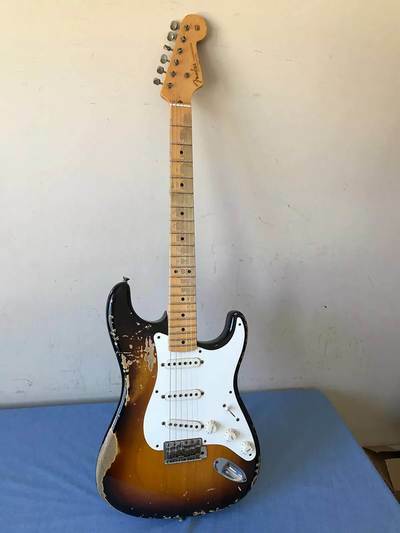 Availabe for 2012 in only three colors (Faded Two-Color Sunburst, Desert Sand, and Black), this Heavy Relic Stratocaster is built for tone, playability, and classic looks. 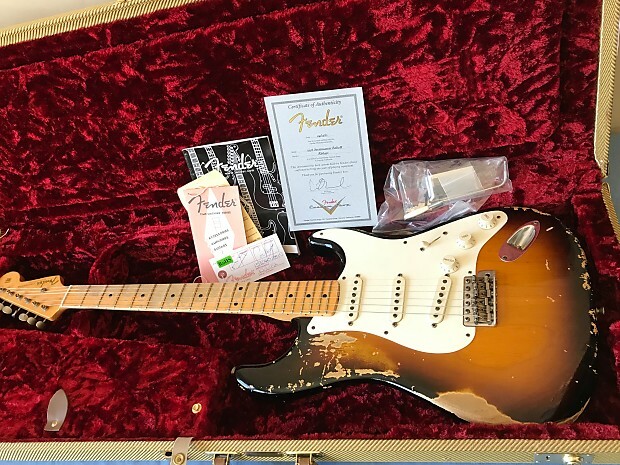 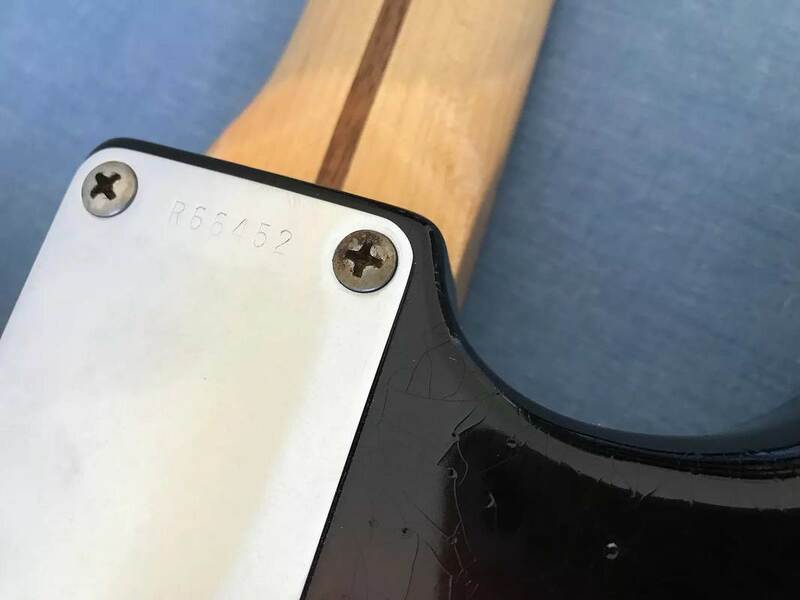 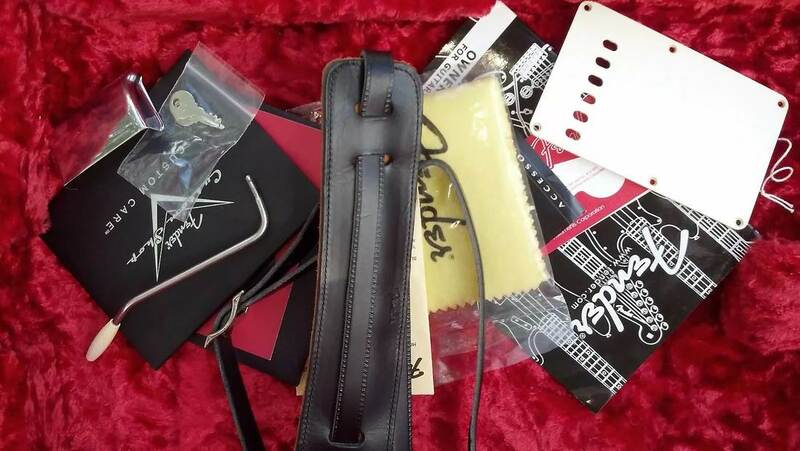 The basic framework is a 1956 Stratocaster, but this version of it comes with custom wiring, our famous Fat 50’s pickups, taller 6105 frets, and a flatter 9.5 radius. The classic “10/56” neck shape is one of our most popular neckshapes, and the feel and sound of this guitar is something that every Strat player must experience. The custom wiring enables the player the ability to use the middle tone control on the bridge pickup as well.